I don't have much I like to write today, I've been working on a family and work balancing act of taking care of my daughter while she has been sick, keeping up with social media and working on personal work and online assignments with Make Art That Sells. I have also came down with a cold. But I'm really happy that I was able to package most of the art that I think will work well this holiday season locally and sent to lovely http://kitschva.wordpress.com/ for sale. My illustration made it onto Bliss Blog at http://www.blissfulbblog.com/2014/11/juju-app I'm also part of the community with https://www.kickstarter.com/.../juju-brings-creativity. 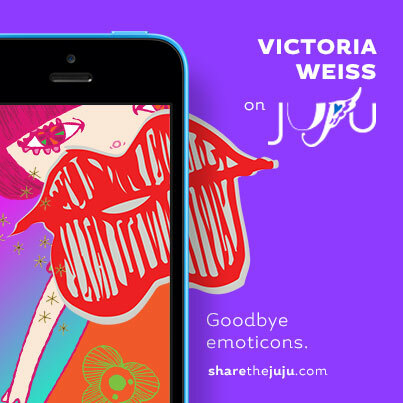 The Juju App you can download from your Iphone and create amazing mash up of icons to send out for personal or business correspondence. I designed a e-ccommerce page directly from my website home page http://butterpopstudio.com/ . There was a couple of personal commissions requested by moms for me to create characters for their rooms and or as holiday gifts. Together with Forest Foundry Collective we have just signed our 2015 contract for Surtex next may. Butterpop Studio has 1847 likes on facebook and daily followers on twitter with motar businesses and communities around the globe. Most recently, I just finished this New York City Poster, and may turn it into a series as there is just so much in my home town to capture!! I'm also very happy to be visiting the city this Thanks Giving weekend. Gratitude is in our daily vocabulary in this household. To know that no matter what things are taking off and something is happening each month with the studio. Knowing the truth and act of persistence, trust, services I can provide with talents along with integrity things will show up. I leave you all with this quote and Happy Thanks-Giving!